Hi Doodlebug fans! I enjoyed creating a page for this month's design team quote challenge. 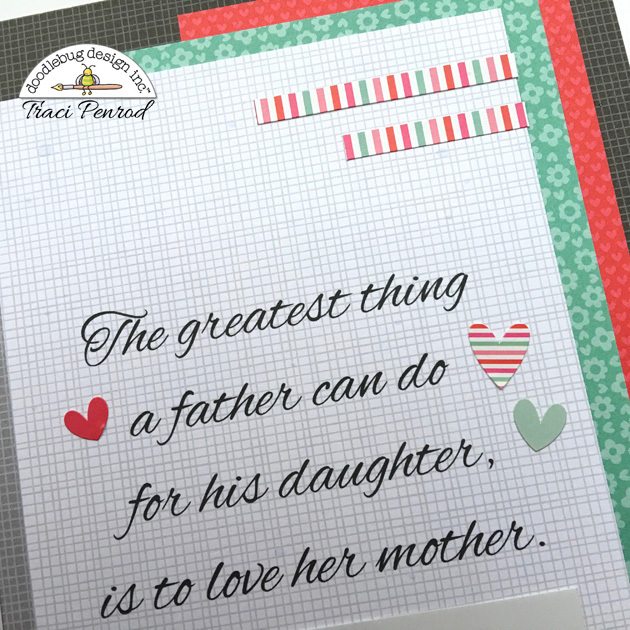 With a new granddaughter, I looked for a fun grandma quote, but couldn't find one that sparked any creativity. Then I ran across this one ... and knew I had the perfect photos. This is my son, Jordy, his adorable wife, Chrissy, and my precious little granddaughter, Rylee Nicole. 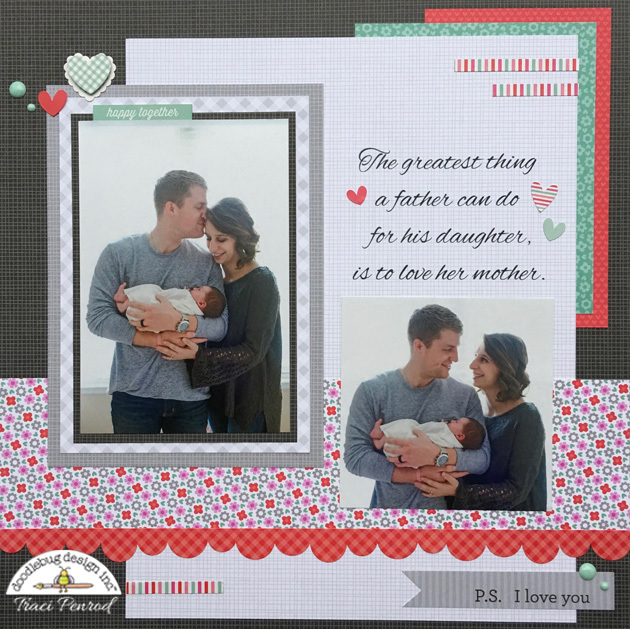 For my layout, I used lots of new gingham/linen petite prints. I cut a lily white linen pattern down to 8.5" x 11" and ran it through my printer, then I designed my layout around the quote. Super simple! (The type font I used is called Alex Brush). My accent papers are from Doodlebug's Sweet Things collection. 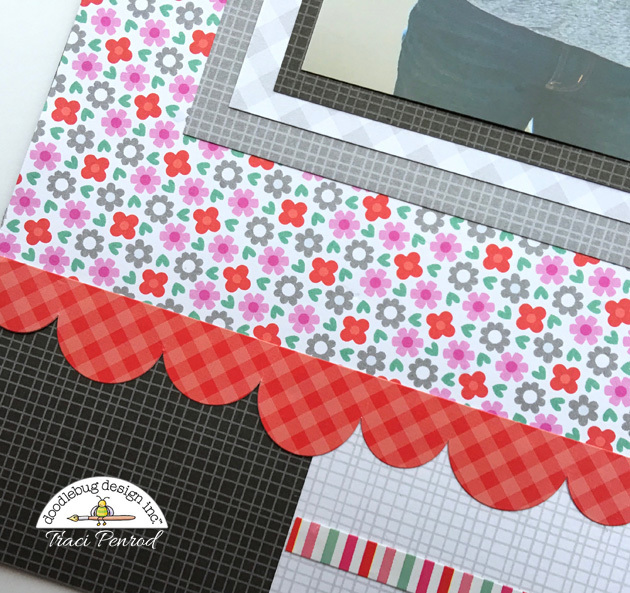 I love to use solids from Doodlebug's petite prints and pair them with scraps from older Doodlebug collections. Everything always matches!! I hope our quote challenge is inspiring you. Just search for a fun quote and then design a project around it! Be sure to visit every day this week for more inspiration, and stop by my blog to say hello sometime!